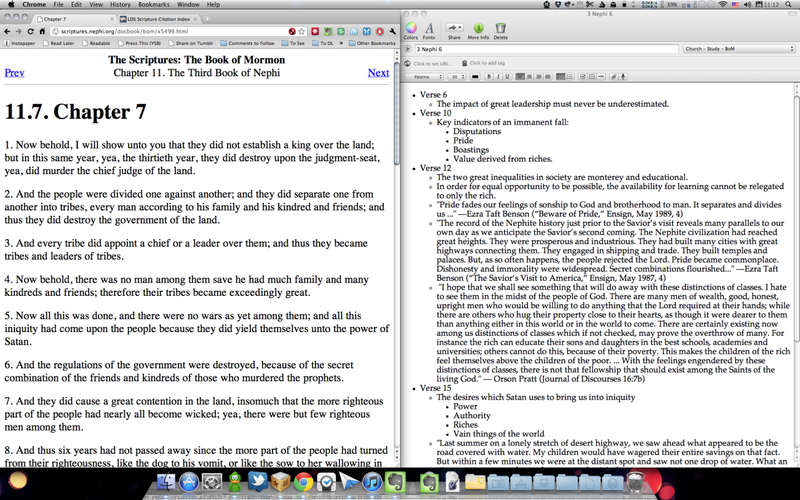 The other side of his screen he has Evernote open to take his notes in, you can save the link to the scripture. 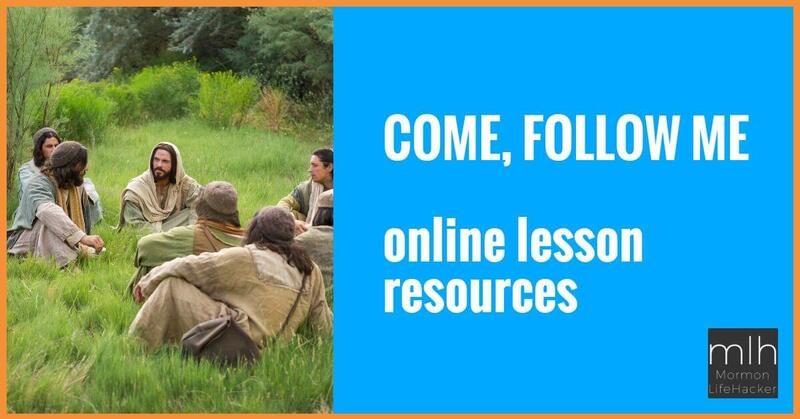 Then—this is key—he uses these resources to really study the scriptures and record what he learns as he learns it. Note: if you already have an Evernote account, check out the Evernote Web Clipper plugin for easy archiving and notations from your browser, plus with the mobile app, which allows you to save/note stuff on the go, including just quick snapshots using the camera. Personally I’ve found the new tools included with the LDS.or scriptures to be somewhat clunky, and well… less than amazing. I have high hopes for them, but for now they don’t offer a great option. Looking for other answers, I’d tried using Evernote, but wasn’t familiar with some of the other great tools Aaron introduces. I really like his ideas and am going to try them out myself, including the awesome resources number 2 and 3 above, which I haven’t used previously. Thanks to Aaron for sharing. Make sure to read the original post and tell Aaron what you think about his awesome online study method in the comments. Then let us know what tools and methods you use to enhance your scripture study in the comments below. I sometimes like to highlight parts of scriptures in different colors. But the LDS sight won't allow that. Sometimes different words in the same verse need to be colored differently for accent. I used to highlight my scriptures; it's no longer really possible. I have liens upon lines, and in several chapters, there's no more white space near words to even underline. Highlighting is helpful, but it doesn't have the same usefulness as writing down thoughts and impressions. Highlighting's a good start, but there's much more. I forgot to mention in the article: if you have Windows 7 the new Aero "snap" function will allow you to do this really easy. Just grab the title-bar of whichever window you want on the left, and drag it to the left side of your screen, it should "snap" to fill just the left-half of your screen. Then do the same but on the right side for the other window. My recent post My Google Music Beta invite arrived today! On OS X, I use Cinch, which does the same thing. This is a really cool idea, I think I'll try it! Question: how does, if at all, Evernote compare to Microsoft Onenote? Hey, a friend of mine sent this article to me and I was surprised to see who the author was! Shoot me a note sometime. Hope you are doing well! Will do man! It's great to hear from you. I use Notability also. Works good. Excellent advice. I highly endorse EverNote as a great software tool. I did want to bring to your attention another website that is dedicated to putting all your notes in one place. It allows cross-linking of notes, tagging them with keywords, linking them to scripture references, and linking them with book citations. While it is still actively being developed, it seems to cover a lot of the bases for a solid scripture study system. It is located at http://www.gospelstudyjournal.org/ . I only post it here because it is directly relevant to the topic of your post. Thanks again. Great post!